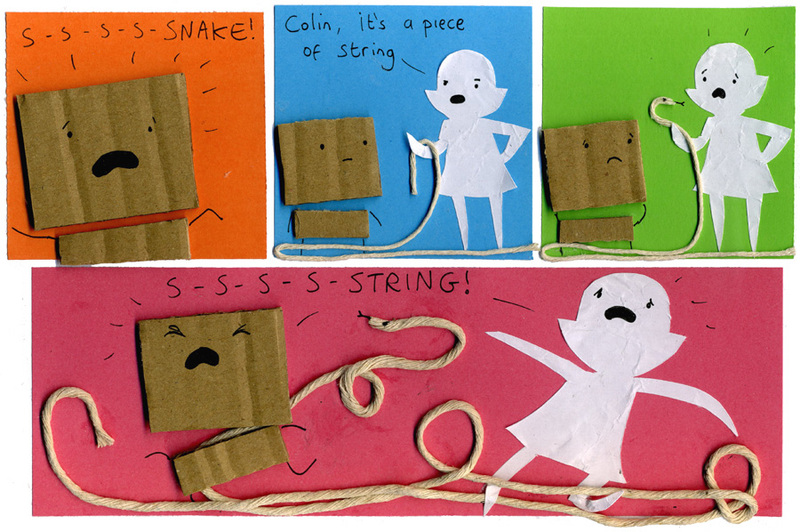 My Cardboard Life » Snake! Snaaake, a snaaake, ooh, it’s a snake! Ah Hah! I understood that reference!! Badger Badger! At first I was like -.- but now I’m like D::! Since they’re living in a 2D world, this comic could have been called “snakes on a plane”. we should see the snake more often. yessssssssss. and the polar bear should meet him. must of been hard to glue the string… it is for me…….